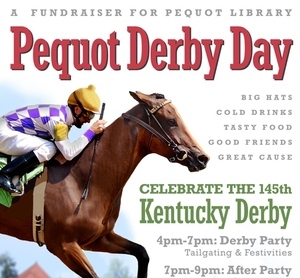 Southport, CT - Celebrate the running of the 145th Kentucky Derby with an afternoon of big hats, cold drinks, tasty food, and good friends for a great cause, at Pequot Library! All ticket sales are final. No refunds. Event takes place rain or shine.